SRINAGAR: The Ladakh School Olympics tournament got a kickstart with great enthusiasm and winning spirit on Saturday among the students of 111 schools across the district participating in different games at respective venues in Leh. The event has started on August 24 and will conclude on August 28, 2018. DC Leh Avny Lavasa and SSP, Leh Sargun Shukla took a round of the venues and witnessed some of the matches with the motive to encourage the students and also to ensure proper arrangements of sporting facilities and refreshments. The officers’ in charge, the staff of the Youth Sports and Services Department and PT teachers of all the schools were equally prepared and participated with charged energy in making every match fair and interesting. Around 269 matches were played including 26 boxing matches, 27 Judo, 6 games of football, 52 rounds archery, 43 volleyball and 26 Table Tennis matches. 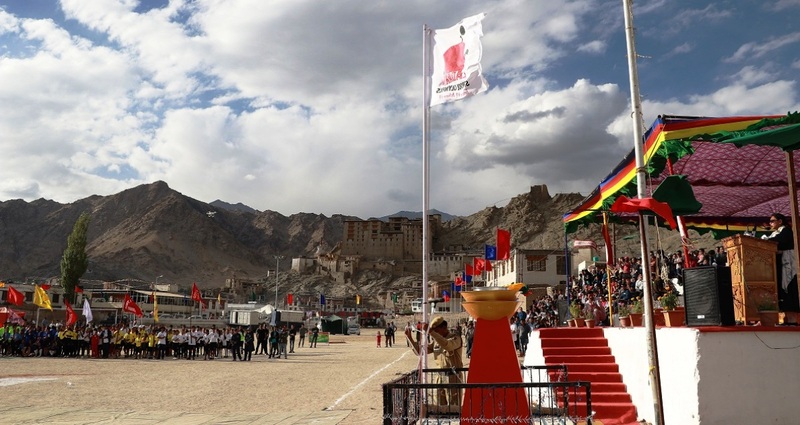 The event is first of its kind in Ladakh commenced at the historic Leh Pologround in presence of CEC, LAHDC Dorjey Mutup, MP Thupstan Tsewang, DC, Leh Avny Lavasa, SSP, Leh Sargun Shukla and other dignitaries. 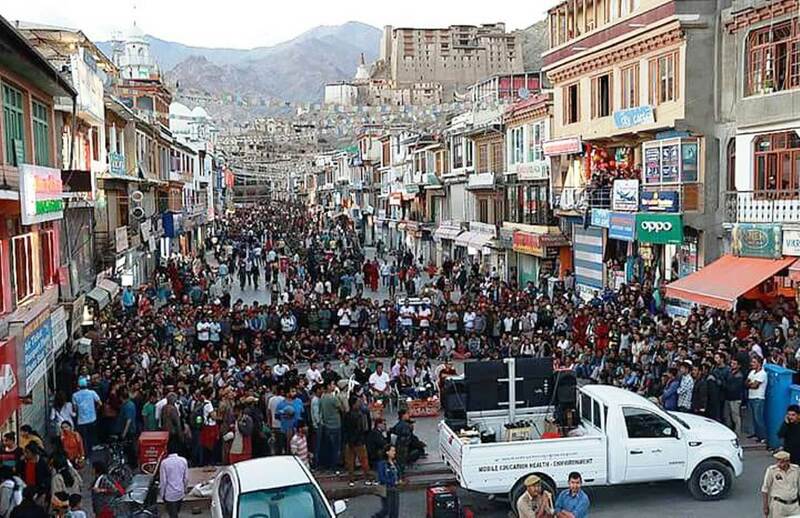 The concept of the Ladakh School Olympics has been initiated by District Administration, LAHDC, Leh for the purpose of motivating the local school children and to explore their sporting talents by providing a common platform to compete and excel. Addressing the gathering, CEC, LAHDC, Dorjey Mutup said that Ladakh being a high altitude location with harsh conditions where people face great difficulties, yet the sporting spirit and enthusiasm exhibited by the school children with their huge participation in the LSO has proved the unbeatable courage and strength of Ladakhi youth. He appreciated the efforts put in by organizers, especially the teachers of respective schools for making this event happening at such a mega level. He ensured full support of Hill Council in further strengthening the LSO in coming times with increased participation and learning. As many as 111 schools are participating in the event with the participation of more than 2000 students from across the district in different sports like track and field events, judo, boxing, table tennis, archery, football and volleyball at three venues viz; Polo Ground Leh, Indoor Stadium and NDS Stadium. Boxing as a sport has been introduced for the first time in Leh under the LSO event. On an inaugural day, 133 matches of Judo, Boxing, Girls Football, Volleyball, and Table Tennis were played. Leh block has won the maximum matches i.e. 76 followed by Khaltsi block winning 22 matches and on third place is Nubra block with 17 wins. Government High School Shey is at the first place with after winning 9 matches, Boys Higher Secondary School, Leh on second place winning 7 matches and with 6 matches wins Girls Higher Secondary School, Leh is on the third place so far on the first day of LSO. on the inaugural occasion. The inaugural programme was attended by Councilors, Senior Officers of Indian Army, District Officers, School Principals and teachers, participating students and audience in huge number.